4. 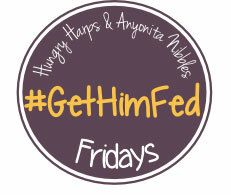 Become a contributor to the #GetHimFed Pinterest Board and share your recipes! If you are interested in being a contributor just fill out this form and you will receive an invitation. The board can be seen by followers of every contributor, so this is another great way to gain exposure.